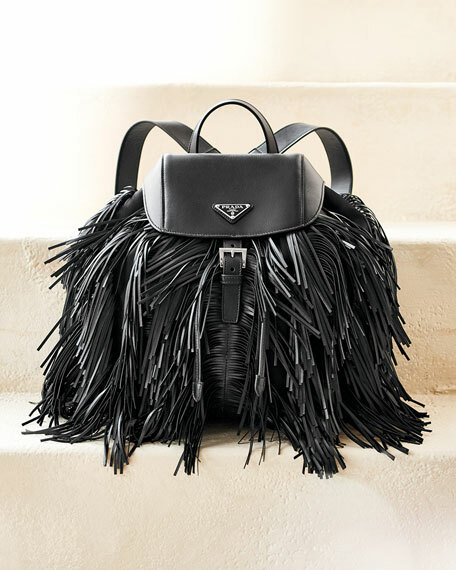 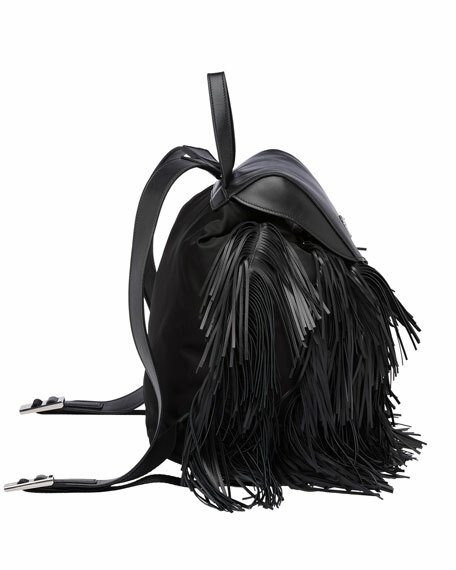 Prada soft calfskin backpack with woven fringe trim. 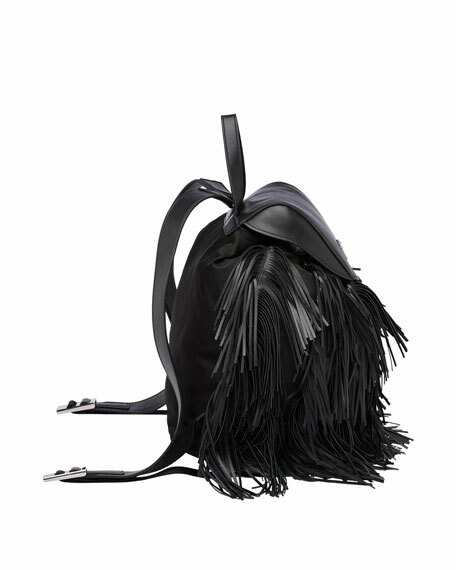 Looped top handle; adjustable back straps. 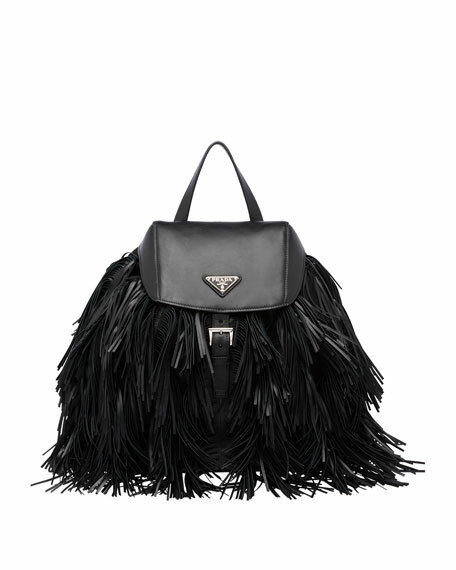 Buckled flap top with signature triangle logo plate. 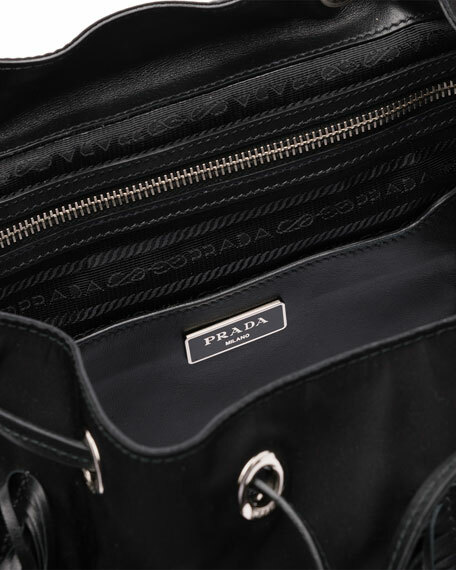 Inside: logo jacquard lining; one zip and one open pocket. 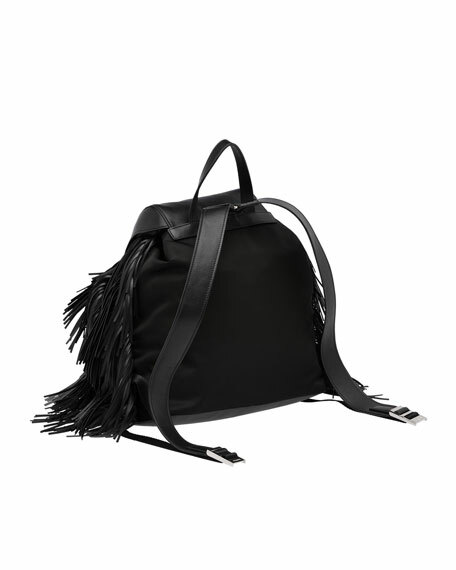 12.6"H x 11.8"W x 5.9"D.
For in-store inquiries, use sku #1658069.